There are a number of advantages that metal shops offer over more traditionally constructed shops. Today’s metal shops are environmentally friendly, are less expensive than traditional buildings and construction is a lot faster. Not only can you expect to pay significantly less for your metal shop construction, but the utility and maintenance costs are lower as well. All shop owners need to control expenditure, and metal is the ideal construction material to enable you to do this. There is very little material waste in metal construction. Painting work and roofing will last a lot longer, 30 years longer in a lot of cases, and there are other ways to cut down on expenditure with metal. Gone are the days where you have to tolerate ugly metal shop designs. In the past there was only a single type of metal shop design that really wasn’t attractive. This naturally put a lot of business owners off from metal construction. Now there are a lot of designs available. You can choose the shape of the building you require, the decoration of your metal shop, the color and the size of your shop and even the roof pitch. You will not be disappointed with the choices that you have for metal shops at the current time. Investing in a new shop is not something to take lightly. It is in your interest to have your shop up and running as fast as possible so that you can start to get a return on your investment. Metal shops will help you to achieve this quicker than traditional construction as they have a faster construction time. The reason for this is that a metal shop is built away from your site in an enclosed area so it will not be subjected to the elements. Bad weather can often slow down construction and you will not have to worry about this. The construction of the shop on your site will not require as many workers as traditional construction. This means that you don’t experience problems such as sickness and injuries delaying the job. All of the major elements of a metal shop are easier to install than with traditional methods. This includes things such as the doors, the roof and the paint. Using wood and masonry will take a lot longer to achieve the same result. The panels for metal shops are pre fabricated and these connect together very easily which is not the same as traditional construction. 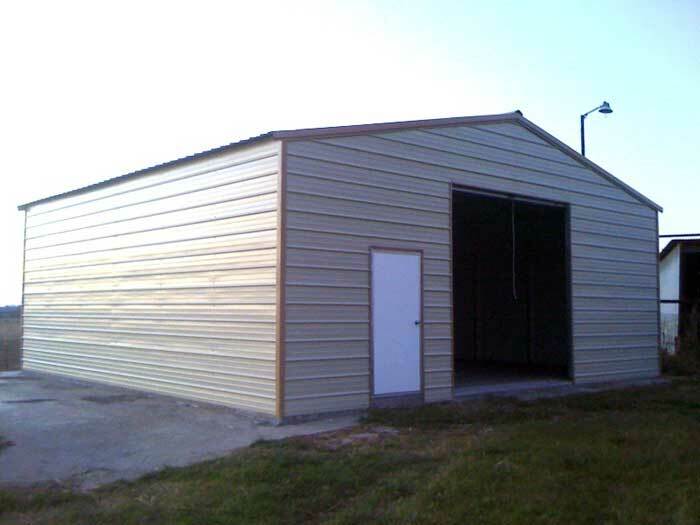 If space is limited then a metal building will be a lot easier to install. If you need to expand your shop then this is also a lot easier with metal and is often quicker than a wood or brick extension. You want your business to grow and it is important that your shop can grow with you without a lot of hassle. A metal shop is a lot easier to adapt than a brick based building. A traditional extension could set you back months, or even mean that you miss out on opportunities because you don’t have the space available in time. With traditional construction you need interior pillars for essential support. These pillars take up space and can be very inconvenient for your business. With today’s metal building construction there is no requirement for support pillars. Without these pillars you can utilize all of your space. You will have the freedom to use every square foot of your shop for your business needs which you will never get with brick construction methods. This one may surprise you but when buildings are constructed using traditional methods there is a great deal of wasted wood, cement and bricks. These unwanted materials have to go to landfills and this is not good for the environment. Metal constructed shops are more sustainable and this will appeal to business owners that want to help the environment. Any metal cut away for trimming purposes can be melted down and used to create new materials.